Hi everyone! Sorry for my lack of activity on the site. I have had quite a busy October, and so have had little time to blog. I have also tried to create some graphic designs for the site header, and for various blog posts, so they might not be amazing but I hope you like them – warning, I am not great at graphic design! I have some new book releases to show you all! Usually I do this post at the beginning of each month, but I though I would give you all some time to prepare, or pre-order the exciting new books released next month! I would also like to add that I have now become an Amazon Associate and would really appreciate if you buy the books through my links! It would enable for me to have give-aways for all you lovely people! It’s been three months since the Winterians were freed and Spring’s king, Angra, disappeared—thanks largely to the help of Cordell. Meira just wants her people to be safe. When Cordellan debt forces the Winterians to dig their mines for payment, they unearth something powerful and possibly dangerous: Primoria’s lost chasm of magic. Theron sees this find as an opportunity—with this much magic, the world can finally stand against threats like Angra. But Meira fears the danger the chasm poses—the last time the world had access to so much magic, it spawned the Decay. So when the king of Cordell orders the two on a mission across the kingdoms of Primoria to discover the chasm’s secrets, Meira plans to use the trip to garner support to keep the chasm shut and Winter safe—even if it means clashing with Theron. But can she do so without endangering the people she loves? Mather just wants to be free. The horrors inflicted on the Winterians hang fresh and raw in Januari—leaving Winter vulnerable to Cordell’s growing oppression. When Meira leaves to search for allies, he decides to take Winter’s security into his own hands. Can he rebuild his broken kingdom and protect them from new threats? As the web of power and deception weaves tighter, Theron fights for magic, Mather fights for freedom—and Meira starts to wonder if she should be fighting not just for Winter, but for the world. Reagan Forrester wants out—out of her trailer park, out of reach of her freeloading mother, and out of the shadow of the relationship that made her the pariah of Charytan, Kansas. Victoria Reyes wants in—in to a fashion design program, in to the arms of a cute guy who doesn’t go to Charytan High, and in to a city where she won’t stand out for being Mexican. One thing the polar-opposite best friends do agree on is that wherever they go, they’re staying together. But when they set off on a series of college visits at the start of their senior year, they quickly see that the future doesn’t look quite like they expected. After two years of near-solitude following the betrayal of the ex-boyfriend who broke her heart, Reagan falls hard and fast for a Battlestar Galactica-loving, brilliant smile-sporting pre-med prospective… only to learn she’s set herself up for heartbreak all over again. Meanwhile, Victoria runs full-speed toward all the things she thinks she wants… only to realize everything she’s looking for might be in the very place they’ve sworn to leave. As both Reagan and Victoria struggle to learn who they are and what they want in the present, they discover just how much they don’t know about each other’s pasts. And when each learns what the other’s been hiding, they’ll have to decide whether their friendship has a future. When Audrey Casella arrives for an unplanned stay at the grand Hotel Ruby, she’s grateful for the detour. Just months after their mother’s death, Audrey and her brother, Daniel, are on their way to live with their grandmother, dumped on the doorstep of a DNA-matched stranger because their father is drowning in his grief. Audrey and her family only plan to stay the night, but life in the Ruby can be intoxicating, extending their stay as it provides endless distractions—including handsome guest Elias Lange, who sends Audrey’s pulse racing. However, the hotel proves to be as strange as it is beautiful. Nightly fancy affairs in the ballroom are invitation only, and Audrey seems to be the one guest who doesn’t have an invite. Instead, she joins the hotel staff on the rooftop, catching whispers about the hotel’s dark past. Sadie Kingston, is a girl living in the aftermath. A year after surviving a car accident that killed her friend Trent and left her body and face scarred, she can’t move forward. The only person who seems to understand her is Trent’s brother, Max. As Sadie begins to fall for Max, she’s unsure if she is truly healed enough to be with him — even if Max is able to look at her scars and not shy away. But when the truth about the accident and subsequent events comes to light, Sadie has to decide if she can embrace the future or if she’ll always be trapped in the past. So these are just a few new books coming out in November. All of the release dates and information is for the UK editions of the books. Wilhelmina has a hundred identities. She is a princess. When the Indigo Kingdom conquered her homeland, Wilhelmina and other orphaned children of nobility were taken to Skyvale, the Indigo Kingdom’s capital. Ten years later, they are the Ospreys, experts at stealth and theft. With them, Wilhelmina means to take back her throne. She is a spy. Wil and her best friend, Melanie, infiltrate Skyvale Palace to study their foes. They assume the identities of nobles from a wraith-fallen kingdom, but enemies fill the palace, and Melanie’s behavior grows suspicious. With Osprey missions becoming increasingly dangerous and their leader more unstable, Wil can’t trust anyone. She is a threat. Wraith is the toxic by-product of magic, and for a century using magic has been forbidden. Still the wraith pours across the continent, reshaping the land and animals into fresh horrors. Soon it will reach the Indigo Kingdom. Wilhelmina’s magic might be the key to stopping the wraith, but if the vigilante Black Knife discovers Wil’s magic, she will vanish like all the others. Jodi Meadows introduces a vivid new fantasy full of intrigue, romance, dangerous magic, and one girl’s battle to reclaim her place in the world. The Orphan Queen was a fantastic, intriguing and chilling read filled with action and mystery! However, I also feel that there could be some improvements. I have to say though, overall I really enjoyed the book! To begin with I loved all the characters within the book! Wil (Wilhelmina) was brilliant; she is a strong willed, loyal, and an independent protagonist who can also be quite humorous. The character development was one of the best aspects of the book for me, and while the characters were detailed, and had individual personalities, there was an air of mystery around Wil, and of course Black Knife ;). I don’t want to spoil the book, but the plot twists concerning the characters was executed really well. While the character plot twist was not a complete surprise to me, it was still great to read. I am very interested to see where the characters develop in future book(s). Another one of my favourite characters from the book is Melanie. Being the best friend of Will, she also takes part in some action and is masterful in deception within the novel. Her friendship with Wil is vital, and while they may argue with each other the relationship is strong. Melanie is a strong female character, and is headstrong in many of the things she does. Black Knife is another brilliant character. While most of the other characters have detailed backgrounds, Black Knife remains somewhat of a mystery throughout the novel. I was hesitant on whether this would work as I thought we would be unable as readers to connect with him, however I was very wrong! His character while mysterious, is brave and intelligent, and the relationship between himself and Wil in the novel grows, refining and developing Black Knife’s personality. The relationship between both Black Knife and Wil develops into a romance towards the end of the novel, although this does not takes over the plot. Moreover, Patrick, another character in the novel – a mentor for Wil, has an interesting and twisted character. The power play between Wil and Patrick adds the plot line, and the end of The Orphan Queen has left me in great suspense! The world building is sufficiently developed within the book. In areas I felt that the world building was a little rushed, and could have been depicted in more detail, however this did not ruin the book for me as in other sections of the book the world is fantastically vivid. When Wil travels to the ‘Wraith Land’ the descriptions of the mirror lake, and the village around it are brilliant! I actually got shivers when Wil is traveling through it. The fantastical and backwards world within the ‘wraith’ was intriguing, and was one of my favourite parts of the book. The Indigo City is similarly described in great detail, and so these ares of the plot were great to read. Additionally, the magic and fantasy within the novel were a unique idea. Magic is banned as it creates ‘wraith’, deadly energy that is spreading from the West to the East. While the different types and uses of magic is not delved into deeply, it is skimmed across, hinting at further development in later book(s). In addition, the plot of the story grabbed my attention from the start. It is action packed, and full of twists that kept my interest peaked throughout the novel. The interweaving problems which Wil and the Ospreys face are well written. I particularly found the ending of The Orphan Queen fantastic – this is the best part of the book in my opinion. Particularly towards the end of the novel I found my heart pounding, and the cliff hanger with which the story ends is brilliant! While I enjoyed The Orphan Queen there are some aspects of the novel which I thought could be improved. As I have mentioned, the world building in some areas could have been developed on, particularly the journeys to and from the Wraith Land, and some of the action which Black Knife and Wil get into during the night, in the city. Some of the smaller details I felt were missed out; which would have made a good contribution to the story, such as the traveling around the city, as Wil often does. However, this was not a major problem for me, and would not bother most readers in my opinion. Overall I enjoyed The Orphan Queen and would recommend the book to any lovers of fantasy, action, and romance! While I had some problems with the world building, this did not ruin reading the book (which is why I have rated it 4 lovely stars! ), and the character development within the book is brilliant. I look forward to reading the second book in the series The Mirror King! 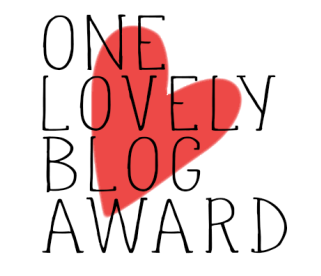 I have been nominated by the lovely M&M Mariam Books for the One Lovely Book award! You must thank the person who nominated you and include a link to their blog. You must list the rules and display the award. For my nominations I have decided to focus on book blogs, to spread the love for book readers! Harry Potter and Throne of Glass are my all time FAVOURITE series!!! Thank you all for reading my blog, I was delighted to get the award! After reading and enjoying The Kiss of Deception, the first book in The Remnant Chronicles, I quickly decided to read the second! I completely loved the first book, and the The Heart of Betrayal did not disappoint me. I was ripped apart and put back together again by The Heart of Betrayal. There are some exciting new book releases this September! While there are many books that are being released, these are the books which I think sound great and cannot wait to read! These are the UK release dates, and might be different to the US or international release dates. To view any of the books on goodreads click on the book cover. Everyone Celaena Sardothien loves has been taken from her. But she’s at last returned to the empire—for vengeance, to rescue her once-glorious kingdom, and to confront the shadows of her past . . .
Lee Westfall has a secret. She can sense the presence of gold in the world around her. Veins deep beneath the earth, pebbles in the river, nuggets dug up from the forest floor. The buzz of gold means warmth and life and home—until everything is ripped away by a man who wants to control her. Left with nothing, Lee disguises herself as a boy and takes to the trail across the country. Gold was discovered in California, and where else could such a magical girl find herself, find safety? Walk on Earth a Stranger, the first book in this new trilogy, introduces—as only Rae Carson can—a strong heroine, a perilous road, a fantastical twist, and a slow-burning romance. Includes a map and author’s note on historical research. From the author of This Song Will Save Your Life comes a funny and relatable book about the hazards of falling for a person you haven’t met yet. Seventeen-year-old Arden Huntley is recklessly loyal. Taking care of her loved ones is what gives Arden purpose in her life and makes her feel like she matters. But she’s tired of being loyal to people who don’t appreciate her—including her needy best friend and her absent mom. Arden finds comfort in a blog she stumbles upon called “Tonight the Streets Are Ours,” the musings of a young New York City writer named Peter. When Peter is dumped by the girlfriend he blogs about, Arden decides to take a road trip to see him. During one crazy night out in NYC filled with parties, dancing, and music—the type of night when anything can happen, and nearly everything does—Arden discovers that Peter isn’t exactly who she thought he was. And maybe she isn’t exactly who she thought she was, either. Six dangerous outcasts. One impossible heist. Kaz’s crew is the only thing that might stand between the world and destruction—if they don’t kill each other first. In a society steeped in tradition, Princess Lia’s life follows a preordained course. As First Daughter, she is expected to have the revered gift of sight–but she doesn’t–and she knows her parents are perpetrating a sham when they arrange her marriage to secure an alliance with a neighboring kingdom–to a prince she has never met. On the morning of her wedding, Lia flees to a distant village. She settles into a new life, hopeful when two mysterious and handsome strangers arrive–and unaware that one is the jilted prince and the other an assassin sent to kill her. Deception abounds, and Lia finds herself on the brink of unlocking perilous secrets–even as she finds herself falling in love. The Kiss of Deception is the first book in Mary E. Pearson’s Remnant Chronicles. Fantastic. I absolutely loved The Kiss of Deception! As an avid reader of fantasy, romance, and action, this book was wonderful. I may be slightly overexcited about the book, but the story line caught me from the beginning. Before I read it I had heard a lot of good things about the story plot and world building, and I have to agree, you should read this book! The Kiss of Deception is the first book from The Remnant Chronicles and focuses on 3 main characters, Lia, a prince and an assassin. The book is mainly focused on Lia’s POV, however there is also the POV’s from both the prince and the assassin. Lia is Princess Arabella Celestine Idris Jezelia, First Daughter of the House of Morrighan, she is very headstrong and at the beginning of the novel runs away from her home to escape her arranged marriage. Additionally, unless you had guessed from the beginning of the book, during the end there is a massive plot twist. While I was not completely surprised, I was still shocked. Another character in the book was Pauline. She has a vastly different personality from Lia, however she was also an enjoyable character. The friendship between both of the girls was funny, and heartwarming. As I am sure you have deduced, there is somewhat a love triangle in The Kiss of Deception. The romance is more between Lia and Rafe, however there is competition between both Rafe and Kaden. The romance between Rafe and Lia slowly progresses and is incredibly sweet. While I would say the romance is a main contributor to the story, it is not the only drive and so, in my opinion, did not take over the story, even though it is a main drive. The world building throughout the book was vivid, and descriptive. I love the world which Lia lives in. The map at the beginning of the book was a nice guide on how the world is set out. The world was fantastical and richly described. Overall I loved The Kiss of Deception, and so rate it 5/5 stars. The story was captivating, describing a world full of magic, with romance, betrayal, and mystery woven in. If you enjoy fantasy, romance and magic I would defiantly read this book! In the future, in a world baked dry by the harsh sun, there are those who live inside the walled Enclave and those, like sixteen-year-old Gaia Stone, who live outside. Following in her mother’s footsteps Gaia has become a midwife, delivering babies in the world outside the wall and handing a quota over to be “advanced” into the privileged society of the Enclave. Gaia has always believed this is her duty, until the night her mother and father are arrested by the very people they so loyally serve. Now Gaia is forced to question everything she has been taught, but her choice is simple: enter the world of the Enclave to rescue her parents, or die trying. Birthmarked was a thought provoking and vivid read. The novel, which is set in the future, is set around a girl called Gaia, and her attempt to rescue her parents, while discovering the true reason and use of the babies which are taken from her village and given to ‘The Enclave’. Birthmarked was an interesting and fascinating read. The world building in the book was vivid, and so it is easy to picture the world Gaia is living in. The difference in society between ‘The Enclave’ and ‘Wharfton’ are clearly shown. I particularly loved the descriptions of the markets and sellers which are bright and particularly realistic. Similarly the houses, and streets create a detailed picture of the world. Even though the book is set in the future, there is relatively little technology, which I thought was less realistic, but apart from that it I enjoyed the world which Caragh O’Brien creates in the novel! While the book was about Gaia finding her parents, there is also some mystery around the code which her parents created, and the reason behind The Enclave needing babies. I particularly enjoyed the mystery around the code, however, I was unsure on the idea of the parents of the babies being kept secret. I have to say I was unsure through most of the novel what the problem was with revealing the names of the children’s true parents, it would help the children themselves and ensure no future children were born with deficiencies or diseases. I only completely understood at the end of the novel the reason the parents names were truly needed, and so kept from the Enclave. In addition to the mystery surrounding the parents of the children which were ‘advanced’, there was the scientific part of the story which I thought was clever. The initial need for the ‘advanced’ babies was because of the reduced population, and so reduced gene pool, which I thought was realistic. This lead to the specific gene that The Enclave wanted to find. Again how they have the technology to find and define specific genes and strands of DNA, yet they publicly kill people through the method of hanging contradicted, in my opinion, the time period which the story is set in. The characters themselves in the story were good, and I really like Gaia’s character, and her morals. Gaia’s characters was bold, and decisive which I liked about her. She was strong, and held a solid belief in what she believed what was right and wrong. Although, the other characters could have been more developed. Other main characters were not very detailed or developed, only Gaia’s character was very deep, and she is the main protagonist of the story. While we get to know other characters throughout the novel, none of them have very developed personalities. This was however balanced out somewhat by the vivid world building. Additionally there is a small romance between Gaia and Leon, which is mysterious! 😀 The romance is not not the main drive in the story, but still plays a part, and develops slowly. 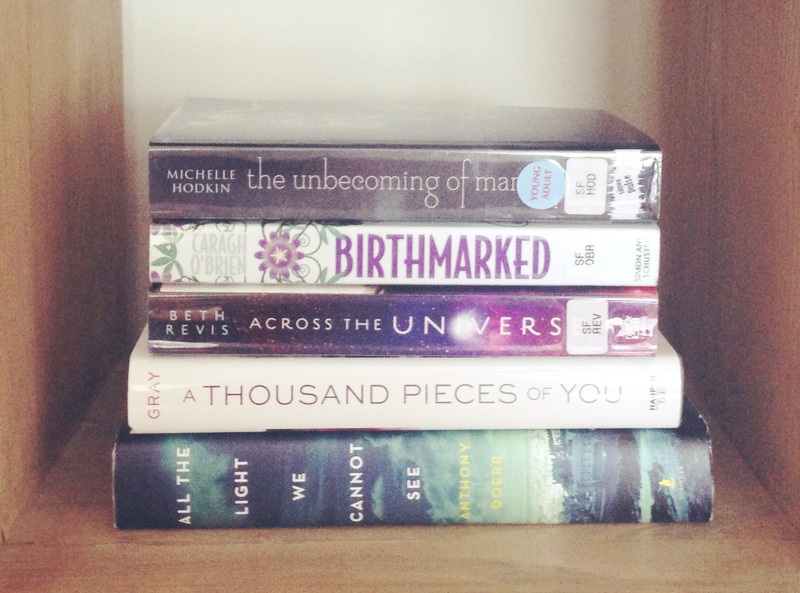 Overall I liked Birthmarked, and I thought the world which Caragh O’Brien was intriguing and brilliant! The story kept me reading on. 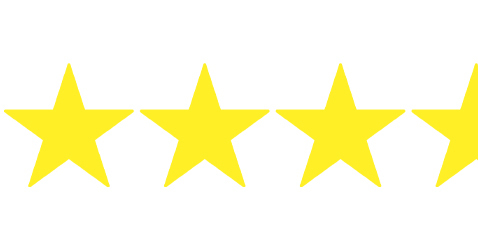 I have rated it at 3.5 stars due to the lack in character development outside the main character Gaia. However, I thoroughly enjoyed reading it! All the books above are similar to Birthmarked in at least one way, and are all good reads! Cassia has always trusted the Society to make the right choices for her: what to read, what to watch, what to believe. So when Xander’s face appears on-screen at her Matching ceremony, Cassia knows with complete certainty that he is her ideal mate… until she sees Ky Markham’s face flash for an instant before the screen fades to black. The Society tells her it’s a glitch, a rare malfunction, and that she should focus on the happy life she’s destined to lead with Xander. But Cassia can’t stop thinking about Ky, and as they slowly fall in love, Cassia begins to doubt the Society’s infallibility and is faced with an impossible choice: between Xander and Ky, between the only life she’s known and a path that no one else has dared to follow. Matched is a book which I have had quite a while. I will admit this was not the first time that I attempted to read the book. A couple of years ago I attempted the book, and out of dislike for the main character, and out of boredom I stopped reading early on in the story. However, I decided that I would have another go, as I know a couple of people who liked the book, and I did get through the book this time, and enjoyed it! After reading through the whole of the book, I enjoyed the story and the romance between Cassia and Ky. The idea of a future society where everything is controlled is very similar to The Giver by Lois Lowry, however the romance between the main characters, Cassia, Ky and Xander features more prominently. Similarly, through the novel it shows how peoples love for each other mean that they bend the rules. The criticisms that I had with the novel was that I found the story could slow at times. While Cassia is breaking rules of the society she lives in, there is not much action in the novel, and neither is the novel very fast paced. The book for me took a while to get into, however further into the story I found it became more interesting. What I enjoyed about Matched was the romance between Cassia and Ky. It was not an ‘insta-love’ and throughout the book more is revealed about Ky so you feel as if you are beginning to understand him. Their relationship was sweet, and you can see Cassia slowly falling for Ky :). I also enjoyed the futuristic world, which was easy to imagine as the world building was good. Similarly, throughout the novel certain privileges and objects are taken away from Cassia and her family showing more clearly how every aspect of their lives is controlled by the government. While the romance between Cassia, and Ky is the main story line, their relationship also opens up onto showing what is wrong with the society. I was left questioning at the end who put Ky into the matching ceremony, and why? Also I was left intrigued at who they were at war with. Additionally Ally Condie’s writing style is enjoyable and beautiful to read. 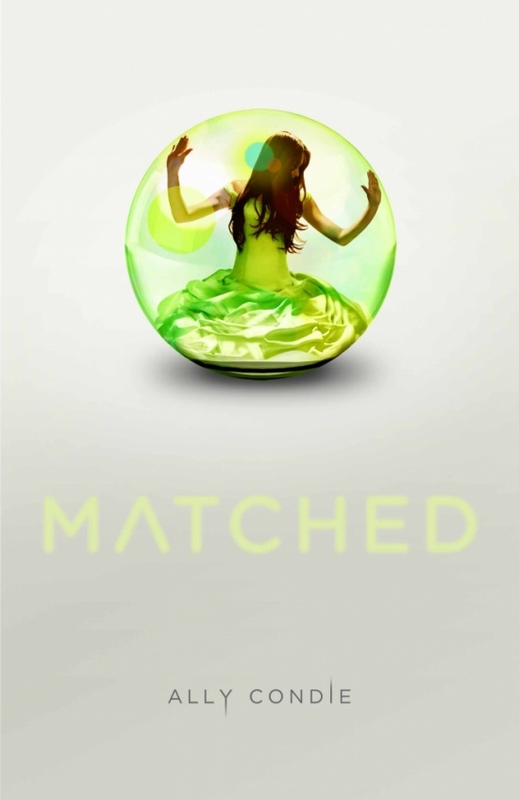 Towards the end of Matched I really got into the book; as more is revealed it left me questioning what was happening, and wanting to read the next book in the trilogy – Crossed! Overall I rate Matched 3.5 stars. While I did enjoy the novel, I found the beginning slow. However if you enjoy a futuristic world and romance I would not let this put you off reading it, and I recommend the book! I thoroughly enjoyed each of these books, and highly recommend them! These are the new book releases this August. If you need some inspiration or ideas for reading have a look at these books! The release dates on each of the books are for the UK, these might not be the same as the US or International release dates. Title: Am I normal Yet? All Evie wants is to be normal. She’s almost off her meds and at a new college where no one knows her as the girl-who-went-crazy. She’s even going to parties and making friends. There’s only one thing left to tick off her list… But relationships are messy – especially relationships with teenage guys. They can make any girl feel like they’re going mad. And if Evie can’t even tell her new friends Amber and Lottie the truth about herself, how will she cope when she falls in love? Imagine a time when the gods turn a blind eye to the agony of men, when the last of the hellions roam the plains and evil stirs beyond the edges of the map. A time when cities burn, and in their ashes, empires rise. Alexander, Macedonia’s sixteen-year-old heir, is on the brink of discovering his fated role in conquering the known world but finds himself drawn to newcomer Katerina, who must navigate the dark secrets of court life while hiding her own mission: kill the Queen. But Kat’s first love, Jacob, will go to unthinkable lengths to win her, even if it means competing for her heart with Hephaestion, a murderer sheltered by the prince. And far across the sea, Zofia, a Persian princess and Alexander’s unmet fiancée, wants to alter her destiny by seeking the famed and deadly Spirit Eaters. Weaving fantasy with the salacious and fascinating details of real history, New York Times bestselling author Eleanor Herman reimagines the greatest emperor the world has ever known: Alexander the Great, in the first book of the Blood of Gods and Royals series. These are some of the books which I have recently bought or taken out from the library and so I plan to read through them. I am not sure which one I will start with but I thought I would share them all with you! Welcome to Reading by Torchlight! Reading by Torchlight is a blog reviewing books (mainly young adult). On my blog you can find reviews, new releases and much more so read on! If you love books, then this is the blog for you! If you love books follow my blog via email!